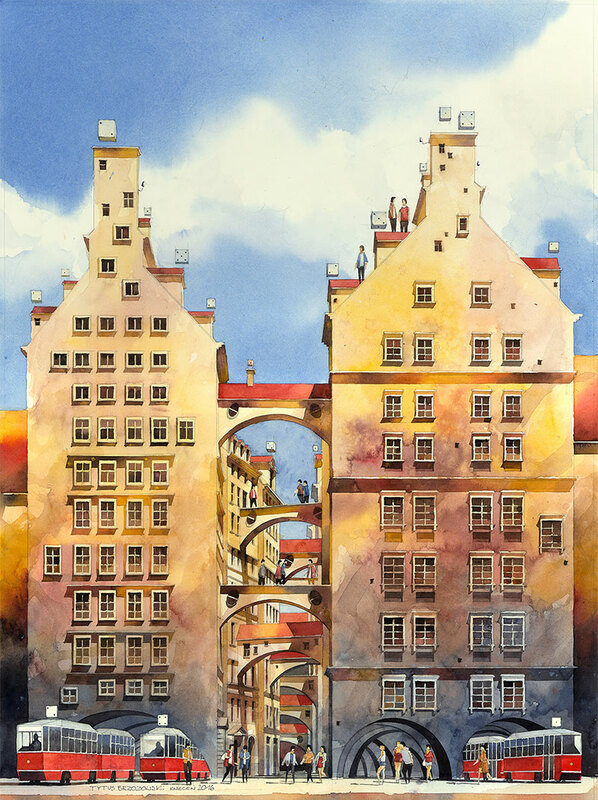 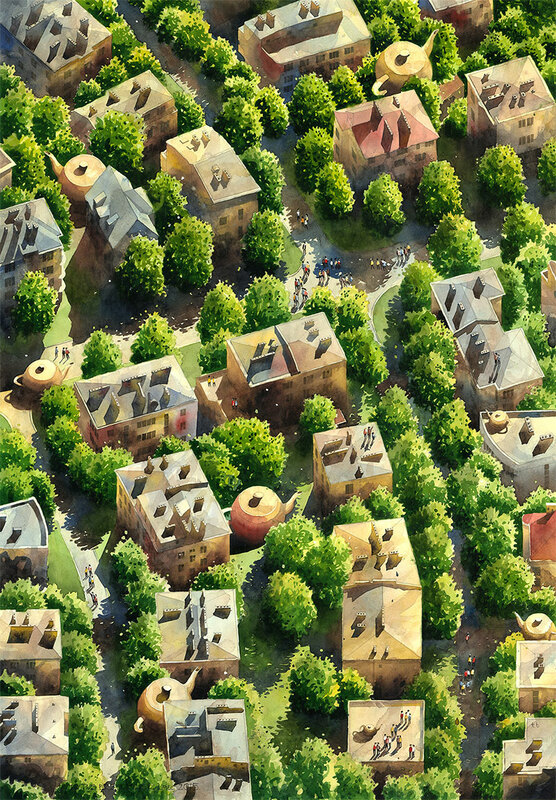 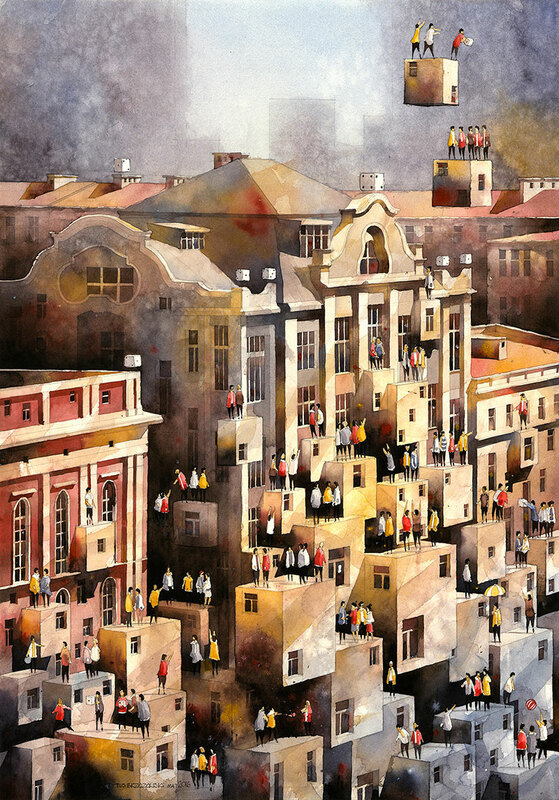 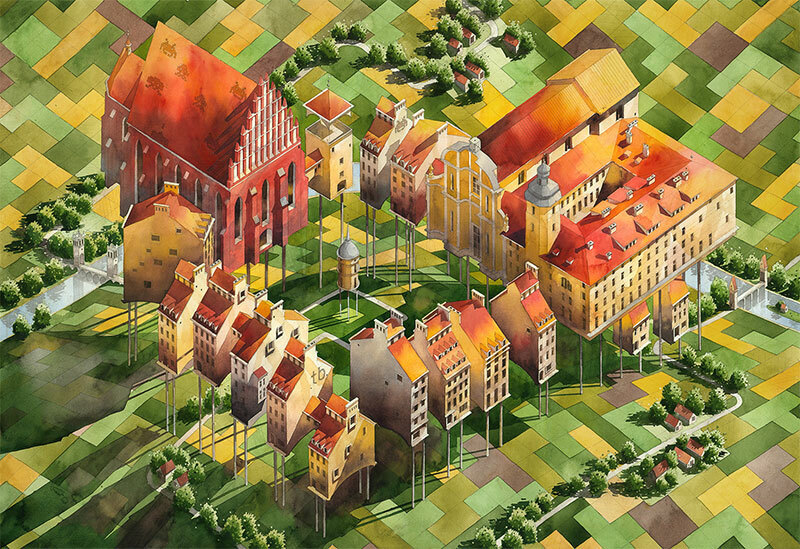 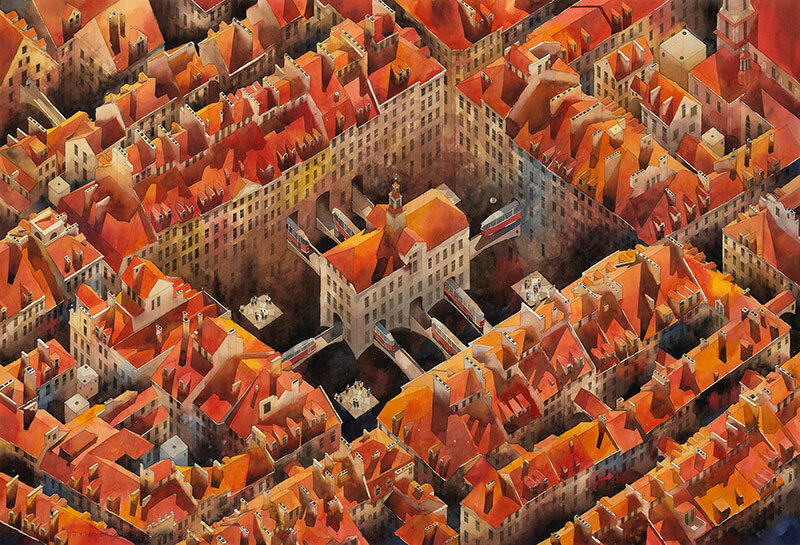 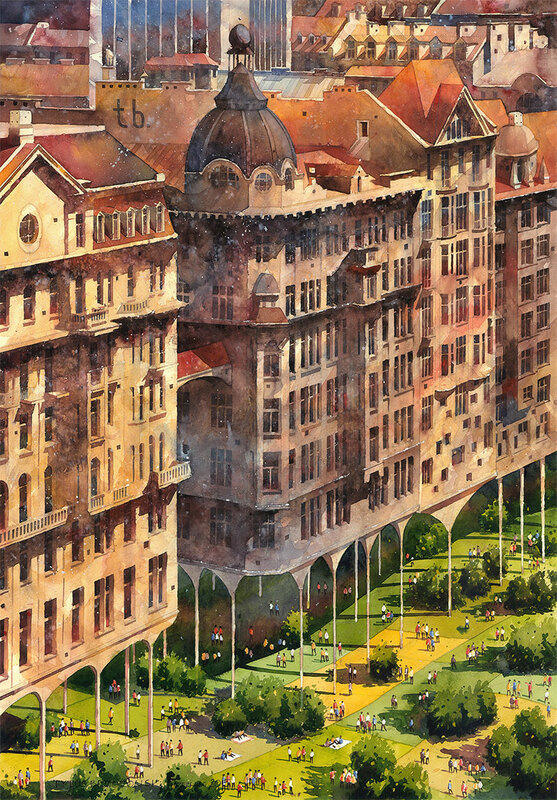 Architect and watercolorist Tytus Brzozowski's vision of Warsaw, Poland where he imagines grand buildings resting on stilts, trains intersecting through a town hall in the middle of a square, pedestrians walking along raised pathways, and roads replaced by canals. 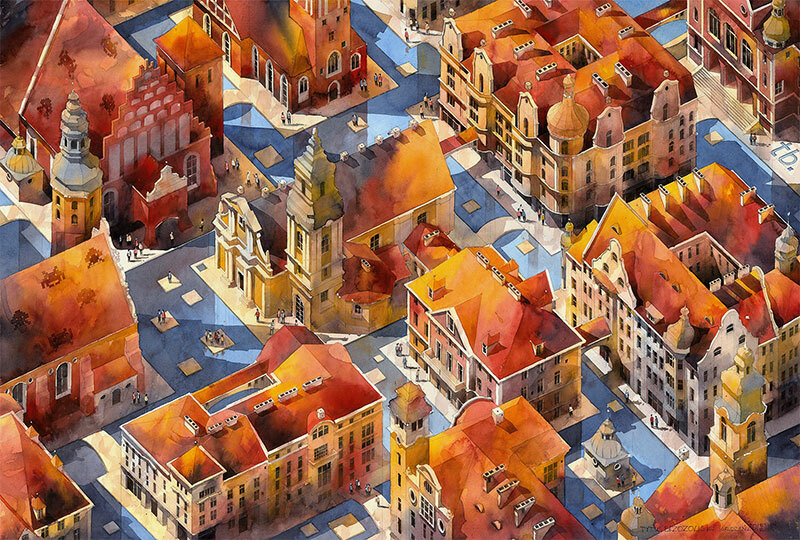 Brzozowski likes to include surrealistic, small elements not visible at first sight so the viewer has to look at the paintings in more detail. 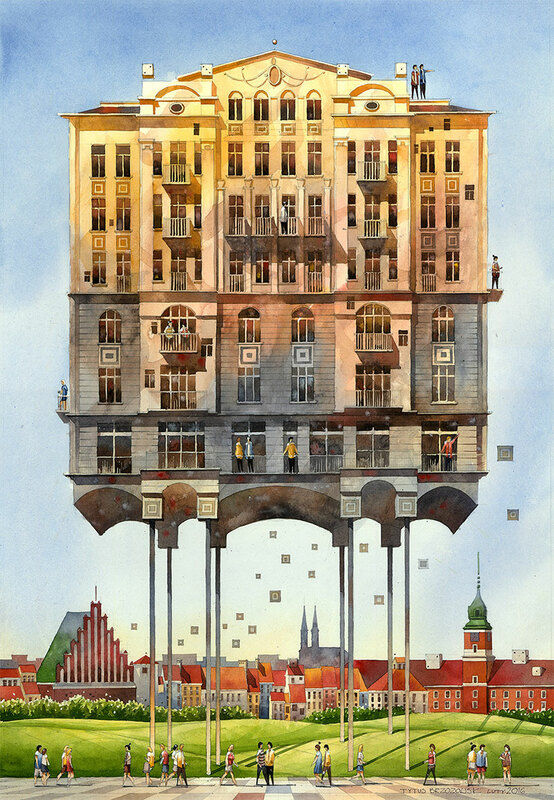 Often, he takes different buildings from several locations and combines them to create a concept that is impossible in reality but yet has a certain logic to it. 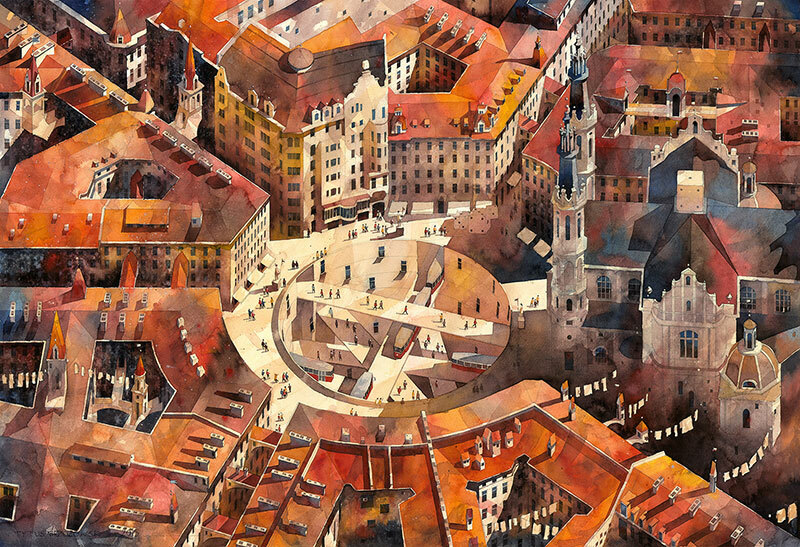 You can see more of Tytus Brzozowski's work at his website or purchase prints through Lumarte. 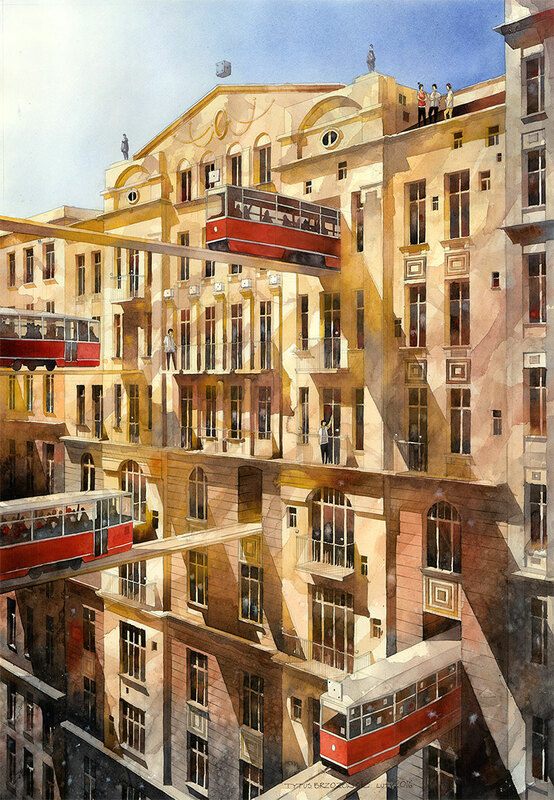 Architect and watercolorist Tytus Brzozowski's vision of Warsaw, Poland where he imagines grand buildings resting on stilts, trains intersecting through a town hall in the middle of a square, pedestrians walking along raised pathways, and roads replaced by canals.